This time of year, it seems like keeping your house clean is impossible. Kids track mud and dirt into your house after playing in the snow. Guests bring in salt into your home from the sidewalks. Your crafts, gift-wrapping, and decorations leave glitter, glue, and tape on the floors. You could keep sweeping, vacuuming, and mopping your way to cleaner floors. Or you could follow these tips for how to keep your laminate floors clean during the holiday season. Not letting dirt into your house is the easiest way to keep your floors looking clean. That might not be as easy with so many guests and kiddos running around so you’ll have to get creative. Make a basket filled with socks and slippers and put it by your front door. When your guests walk in, ask them to remove their shoes and get comfortable in your home. With slippers on hand they won’t be self-conscious of taking off their shoes and they’ll feel at ease in your house. That might seem like a drastic measure to take, but rearranging your furniture will help keep your floors looking great! 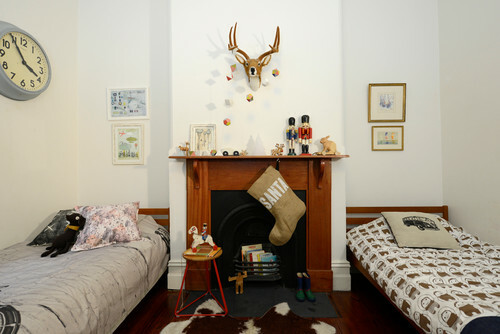 First, move your furniture to accommodate your Christmas tree and entertaining needs. Then, move all furniture to the outer parts of the room whenever possible. This will make it faster and easier for you to clean up spills, dirt, and debris on a moments notice. Instead of having to work around tight corners and get into small cracks to clean up potentially damaging spills, your floors will be open, inviting, and easy to clean. Contemporary Living Room by Edmonton Interior Designers & Decorators AMR Interior Design & Drafting Ltd.
Don’t try to overwhelm yourself with cleaning all of your floors every day. Spot cleaning is an easy alternative to keeping your floors looking great without the fuss. If you notice a spill, clean it up right away. Not cleaning it quickly will cause your laminate floors to warp or get damaged. If you notice dirt or dust, clean those up right away too. Leaving debris lying around your room increases the risk of scratching your floors. It also looks bad. Clean things up fast and you won’t have to worry about your floors later! 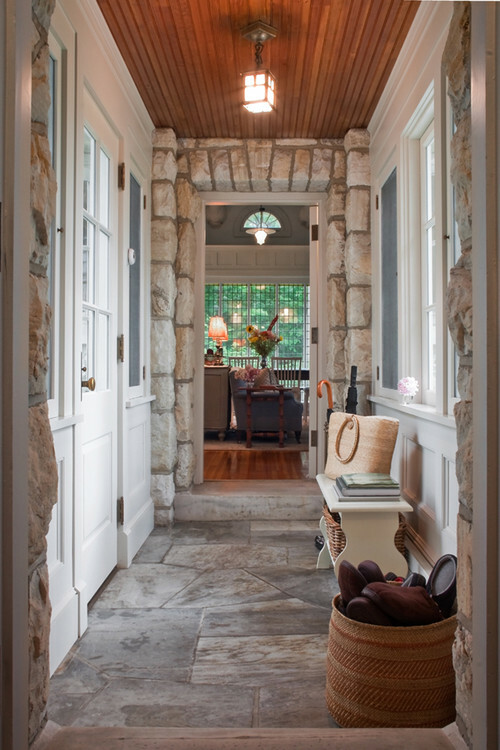 Traditional Living Room by Saratoga Springs Kitchen & Bath Designers Teakwood Builders, Inc. This time of the year is harder than ever to get your kids to help you clean. They have friends to play with, new toys to enjoy, and lots of other distractions to keep them out of cleaning mode. Solicit a little bit of help with your cleaning regimen. Turn the floor cleaning into a game! Get thick, microfiber socks, and have your kids clean the floors with their feet. They’ll have fun slipping and sliding around, and you’ll get the dust cleared off the floors in no time. 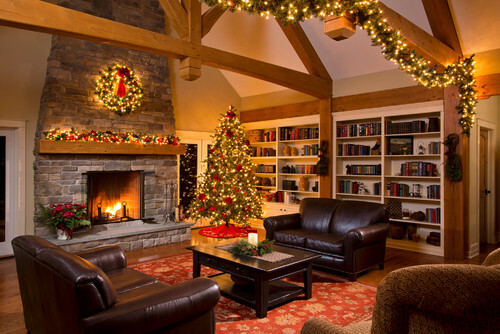 *This post was updated from 2014 to give you a better reading experience and better tips on how to keep your floor looking good this holiday season! Can I Use Wax On Laminate Flooring? 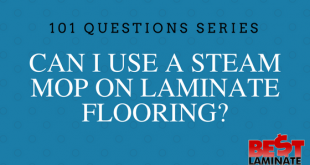 Can I Use A Steam Mop On Laminate Flooring? How to Clean Laminate Floors?